tutorial|How to Compress Photo Using 3uTools? How to Compress Photo Using 3uTools? We all known that photos occupy a lot of storage space of your iPhone. Do you want to expand the storage space of your iPhone? 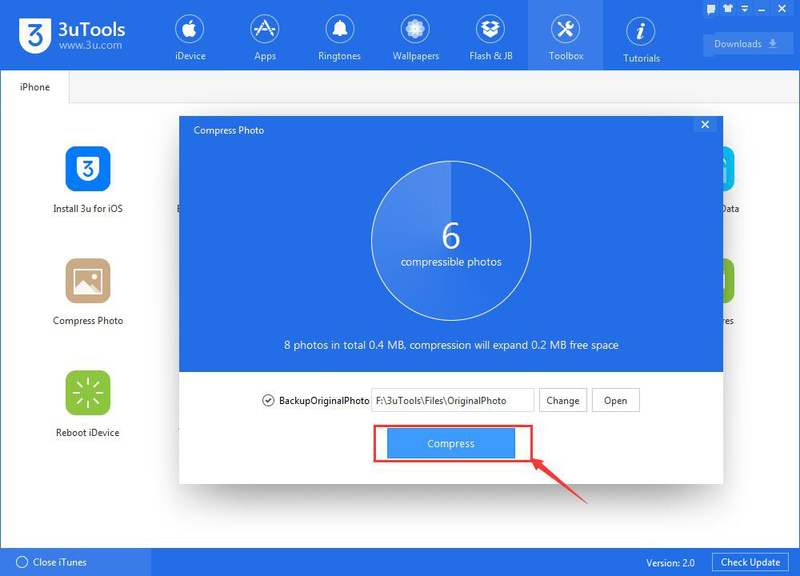 This tutorial aims to introduce a practical method for you to compress photos of your iPhone. 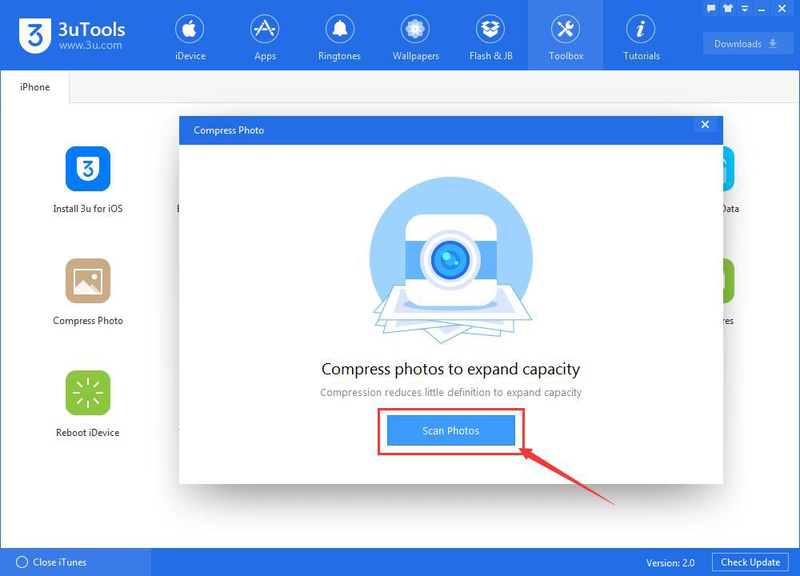 Besides, your iPhone’s storage space will be extended by compressing photos. Step2: Click “Toolbox”→ then click“Photo Compressor”. Step3: Click “Scan Photos”. 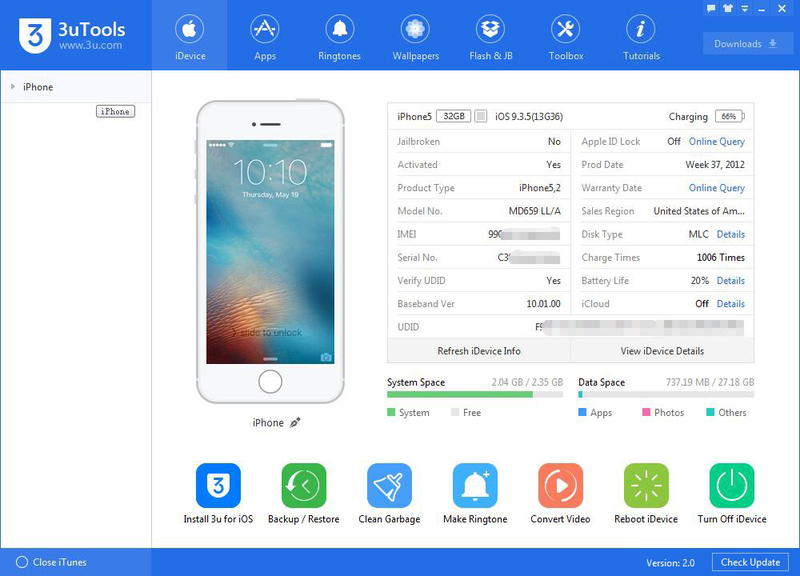 3uTools will automatically start to scan your iPhone’s photos. Step4: Please click“Compress”, and wait until this process is finished. Step5: As shown in the following picture, your iPhone’s photos have been successfully compressed. 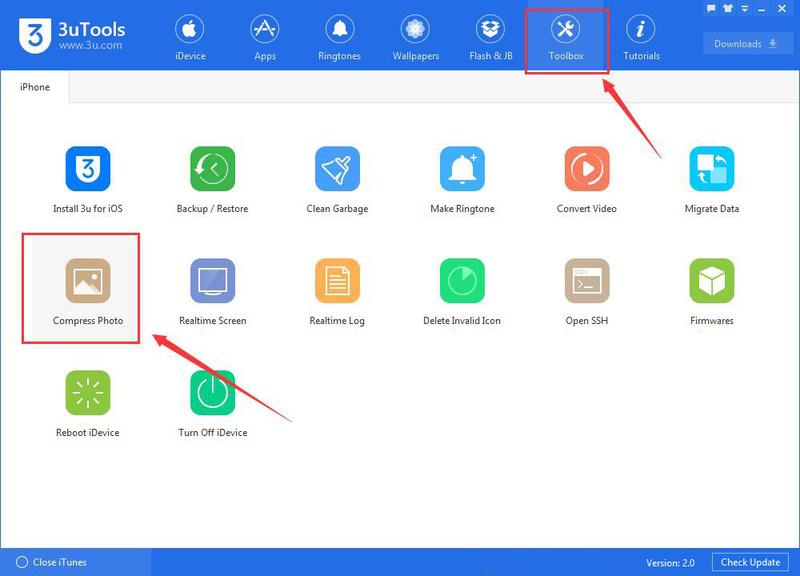 What’s more, 3uTools helped you expand your iPhone’s memory capacity. If you want to view the original photos on your PC, please click “Original photos”.